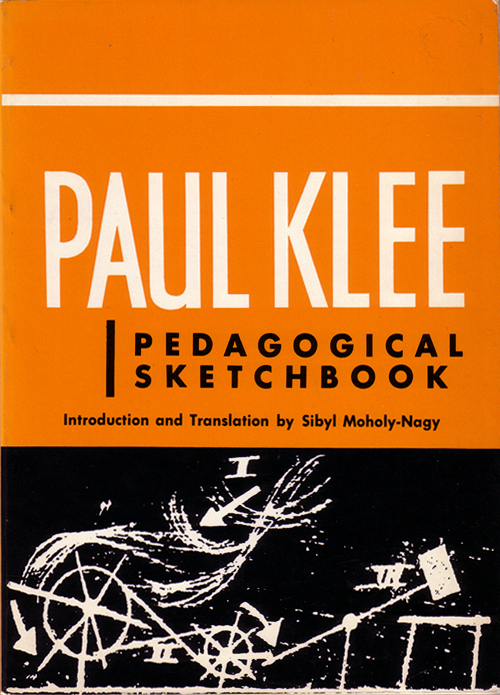 Klee collected his observations in his Pedagogical Sketchbook intended as the basis for the course in design theory at the famous Bauhaus art school in Germany. From the simple phenomenon of interweaving lines, his work leads to the comprehension of defined planes-of structure, dimension, equilibrium, and motion. But he employs no abstract formulas. The student remains in the familiar world-a world that acquires new significance through the straight forward approach of Klee’s simple, lucid drawings and his precise captions. Chessboard, bone, muscle, heart, a water wheel, a plant, railroad ties, a tightrope walker-these serve as examples for the forty-three design lessons.